Slautterback-style Replacement Automatic Hose, Length 6 Ft.,Type RTD,Voltage 120V by Slautterback at UCBC Group. MPN: A26701-06. Hurry! Limited time offer. Offer valid only while supplies last. Compatible with Slautterback LS10, LS20, KB10, and the KB20. Also compatible with many other hot melt units, please contact us for complete list. If you have any questions about this product by Slautterback, contact us by completing and submitting the form below. If you are looking for a specif part number, please include it with your message. 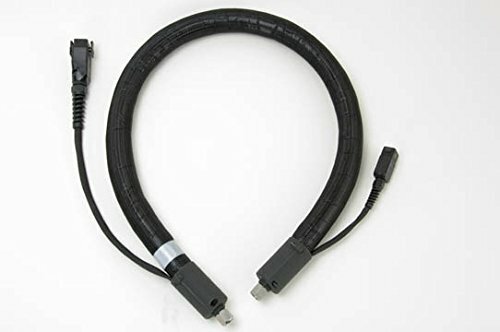 Nordson Replacement Hose for FoamMelt 170 #12 Core, Length 4 Ft.
Nordson Replacement Hose for Bulk Melter Units #12 Core, Automatic Guns, No Head, Length 10 Ft.
Nordson Replacement Hose for FoamMelt 170 #12 Core, Length 20 Ft.
Nordson Replacement Hose for FoamMelt 170 #12 Core, Length 6 Ft.
Nordson Replacement Hose for FoamMelt 170 #12 Core, Length 16 Ft.
Nordson Replacement Hose for Bulk Melter Units #20 Core, Automatic Guns, No Head, Length 10 Ft.
Nordson Replacement Hose for FoamMelt 170 #6 Core, Length 35 Ft.
Nordson Replacement Hose for FoamMelt 170 #12 Core, Length 38 Ft.
Nordson Replacement Hose for FoamMelt 170 #12 Core, Length 10 Ft.
Nordson Replacement Hose for FoamMelt #6 Core, Thermistor, Automatic, Length 16 Ft.